Kids Cooking for Life teaches children how to cook. 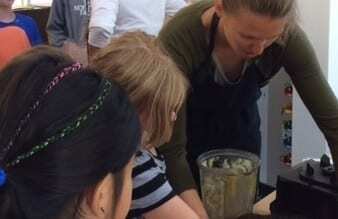 Kids adore the fun, hands-on cooking classes not least because they get to eat the results. 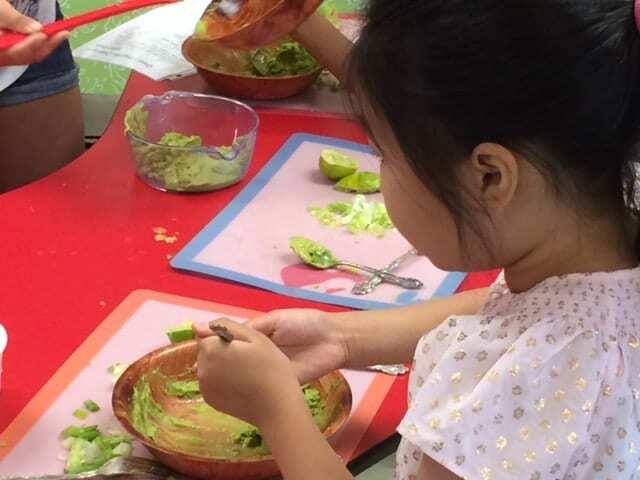 But while the classes are a blast and the food tasty, the philosophy behind Kids Cooking for Life is deadly serious: American childhood obesity rates are at an all-time high, therefore kids must be taught that eating the wrong foods, or too much food, can have consequences. They need to learn that the keys to good health are in the kitchen. That’s the kind of learning that Kars4Kids can get behind, which is why we were very happy to give Kids Cooking for Life a small grant. We want to be a part of this work in some way, give this worthy org a helping hand. And so we did. 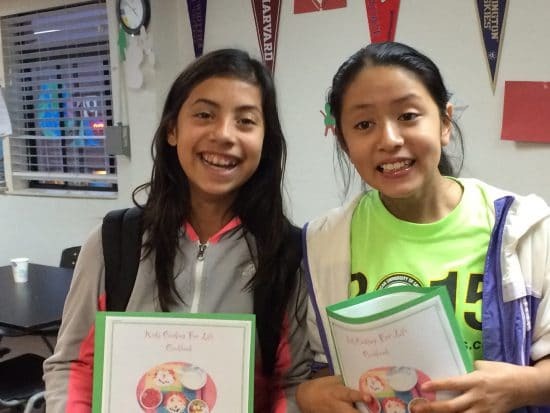 More than that we want to tell you about the good work Kids Cooking for Life is doing. We think this nonprofit is just a terrific idea that deserves attention. To that end, we spoke with Lara Pepp Rajninger, Development and Outreach Director at Kids Cooking for Life to find out more. Kars4Kids: Ted Smith launched Kids Cooking for Life in 2009 out of concern for rising childhood obesity rates. How does the rate of childhood obesity in the Bay Area, where you operate, compare to the rest of the country? Lara Rajninger: For years, obesity rates have been over 30% among preschoolers in California. Recently, these rates declined slightly among low-income preschoolers in California. The percentage of low-income obese children ages 2 to 4 fell to 16.8 percent. That percentage was still well above the 12 percent of preschoolers considered obese nationally. Studies found that the Bay Area fell below the statewide average, though its rates of overweight and obese children had actually increased. Kars4Kids: According to your data, after taking a Kids Cooking for Life course, 100% of the participants can use a knife, prepare recipes at home, and explain why fruits and vegetables are good for you. Only 63% of participants, however, can read a label. Does this have to do with literacy issues within the demographic you work with? Lara Rajninger: Literacy issues can definitely impact students’ abilities to read labels. We work in varying regions and demographics of Novato, San Rafael and Oakland, to name a few. However, some important aspects to consider are age and cognitive development; even children who have the ability to read may struggle with reading a food ingredient label because this necessitates a higher level of reading comprehension. The majority of students in our program are in Kindergarten through second grade. Their reading competency is not sufficient in reading, decoding or understanding many of the words of most ingredients found on food labels. 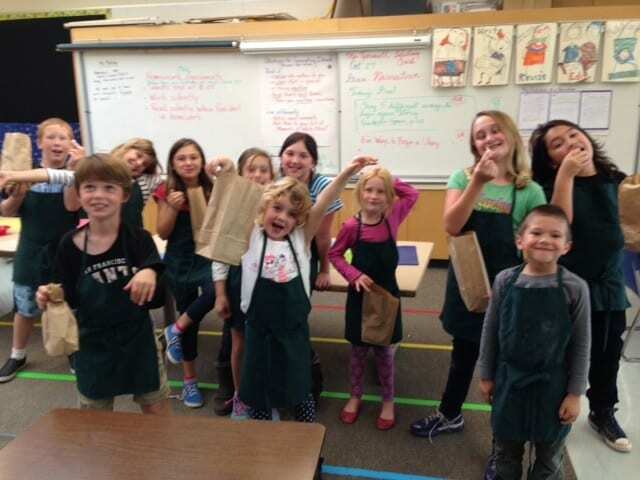 Kars4Kids: Kids Cooking for Life works within elementary schools by providing an eight-week course or a onetime cooking and nutrition demonstration. What do most schools choose? How do schools find out about Kids Cooking for Life? Do you have backing from the Bay Area Board of education? Lara Rajninger: Our program is an afterschool hands-on cooking activity, providing working parents with a safe environment for their children in the hours after school, allowing the students to learn cooking skills and nutrition and have a delicious pre-dinner with us. Schools that are aware of and endorse our program often choose the 8 to 10-week courses. We do not have official backing from the individual school districts though we have a presence in many of the county’s public elementary schools. Kars4Kids: Your demographic is children from low-income neighborhoods. One of the problems with poverty and nutrition is the fact that junk food and “white” items (rice, flour, sugar) are less expensive than more nutritious food options. How do you counter this fact so that kids don’t go home demanding lots of expensive food items? Lara Rajninger: We choose recipes that are fiber dense and use whole wheat rice, pastas and flour and have the same costs as “white” products. We teach low-cost recipes that break down the costs per dish and serving. Many come from MyPlate and are approved by USDA and we give students the website for hundreds of low-cost recipes. We also encourage/suggest they buy in-season, on sale and in bulk. We explain in our lessons that when preparing fresh foods from scratch, it is many times less costly than “fast food” options. Menus go home to the parents and the children share their knowledge and excitement with family and friends. Kars4Kids: What is it about cooking and eating that so resonates with people of all ages? Lara Rajninger: Eating is cross-cultural, enjoyable, and a form of love and communication that brings people together. It helps to keeps cultures and families close and knit together through rituals that often have food at the center. Trying new foods and learning to cook them is exciting and fun! Our students are eager and proud to share what they make with their families and are amazed when healthy, nutritious food can be so delicious. Kars4Kids: The film clip on your website shows children working in a garden. 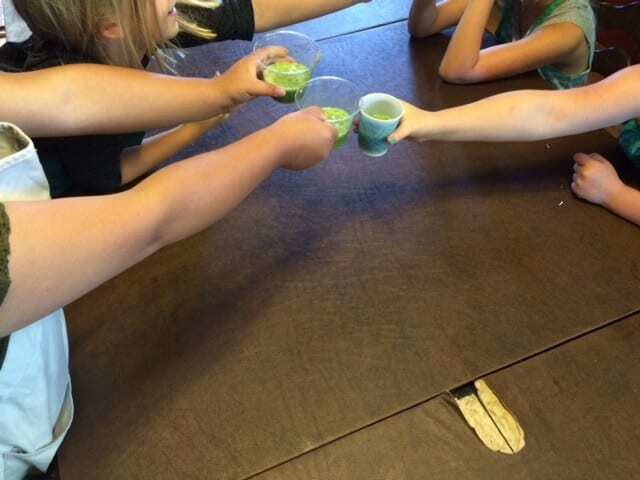 Is this something you do at Kids Cooking for Life? Do kids get a chance to see how food is grown and produced? Where does this happen? Lara Rajninger: Many schools have their own gardens and when available, we incorporate what is being grown into our recipes. We emphasize eating seasonally and using local products, which are better for the environment since food doesn’t have to travel so far. The lesson plans take into consideration that a tomato is season tastes so much better in the summer than in the middle of winter. We emphasize healthy cooking using wholesome ingredients. Kars4Kids: How do you teach children about disease prevention without scaring them? How do you find the balance between making children understand diabetes and heart disease, for instance, and giving them nightmares? 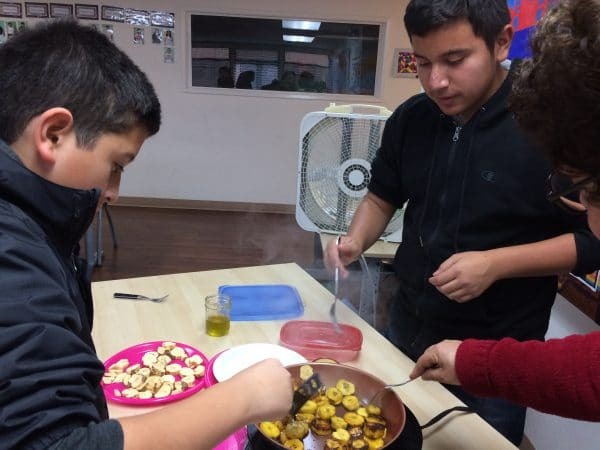 Kars4Kids: Tell us about the volunteer aspect of Kids Cooking for Life. 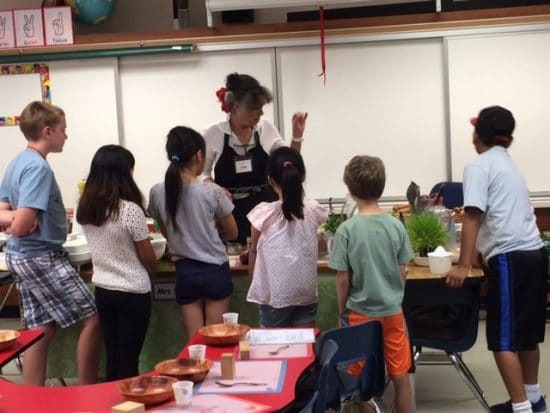 Do you have any world class chefs among your volunteers—chefs like Alice Waters or Thomas Keller—volunteering to come teach the kids? Do you see that happening in future? Lara Rajninger: Many of our volunteers and instructors have graduated from professional culinary schools or are former chefs or caterers. We also collaborate with local chefs that focus on teaching children healthy eating and share recipes and tips. We would be honored to partner with a chef of Waters’ or Keller’s caliber and fame. Kars4Kids: We’ve read that an estimated 16.2 million American children live in households that lack the means to get enough nutritious food on a regular basis. As a result, about 1 in 5 children go hungry at some point during the year. Which is ironic, because according to the CDC, due to rising childhood obesity rates, 1 in 5 American children are obese. How do you square these contradictory statistics with what you’re teaching at Kids Cooking for Life? How does it help a child to learn how to cook when there may not be any groceries in the cabinet or fridge? Lara Rajninger: There are a number of free healthy food sources in Marin. 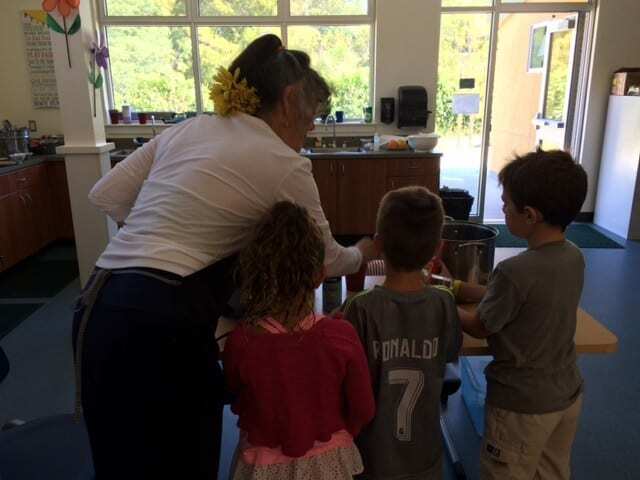 We work with under-served schools, such as Hamilton Elementary in Novato, and base our recipes on what is in season and what is distributed by the Food Bank to the parents of the students each Wednesday. It is not necessary to buy expensive foods; a diet of beans, rice, occasional meat, simple inexpensive vegetables and dairy is perfectly healthy. We invite all parents into the classroom at the end of the day when they come to pick up their children. We discuss with them what we learned, give them a taste and send recipes home. We ask students to help their parents cook meals during the week. Hopefully when they are helping at home, they are disseminating the information that they are learning in class. Parents report that their children are looking at food labels while shopping, talking about not peeling vegetables in order to retain the fiber and talking about the various colors on their plates. 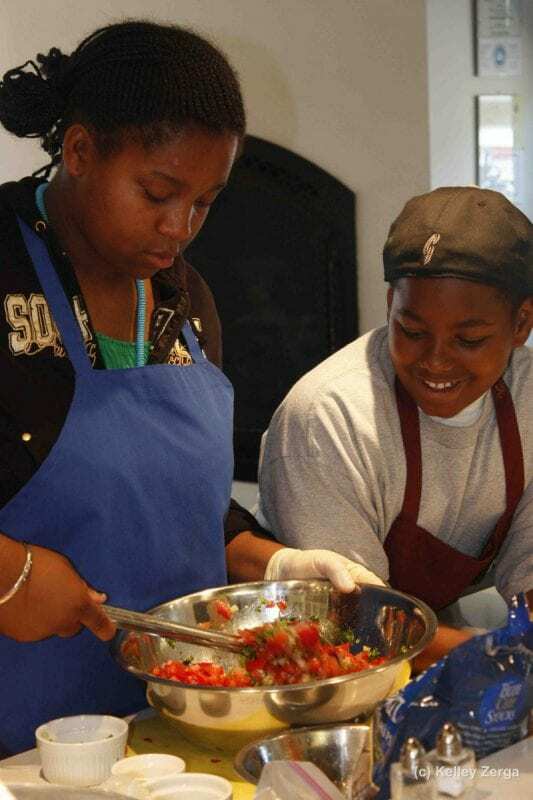 A child’s knowledge and excitement of cooking positively impacts low-income families. 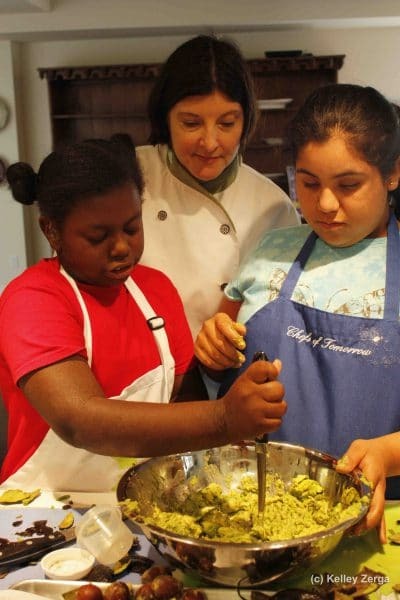 Kars4Kids: What’s next for Kids Cooking for Life? Lara Rajninger: Ideally, we’d focus on a school district in a low-income community that is working to improve the health and nutrition of their students so while they teach during the school day, we supplement with after school programs and cooking and nutrition classes. And we’d like to expand our work with local community centers, YMCAs and Boys and Girls Clubs – eventually replicating our program in other counties.